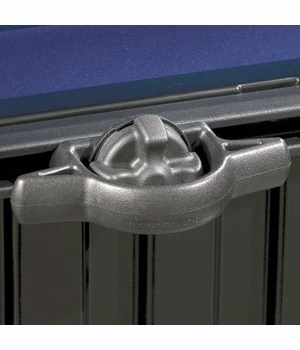 Add another level of flexibility to your truck bed with a Tacoma Heavy Duty Cargo Bed Cleat style Tie Down from Toyota. This fully adjustable Truck Bed Cleat Tie Down slides along the bed rails using a spring loaded twist lock clamp to hold it in place giving you the ultimate in attachment points. 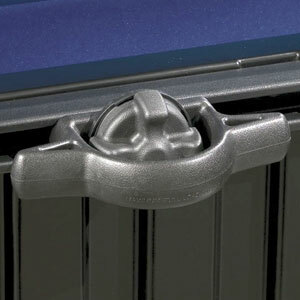 This Tacoma Cargo Tie Down Cleat is available here in black ABS plastic and is rated at a maximum pull load of 220 lbs.. This tie down cleat measures approximately 6" wide x 1" tall at the outside of the cleat. Secure your Tacoma cargo today with this cargo tie down cleat from Toyota.